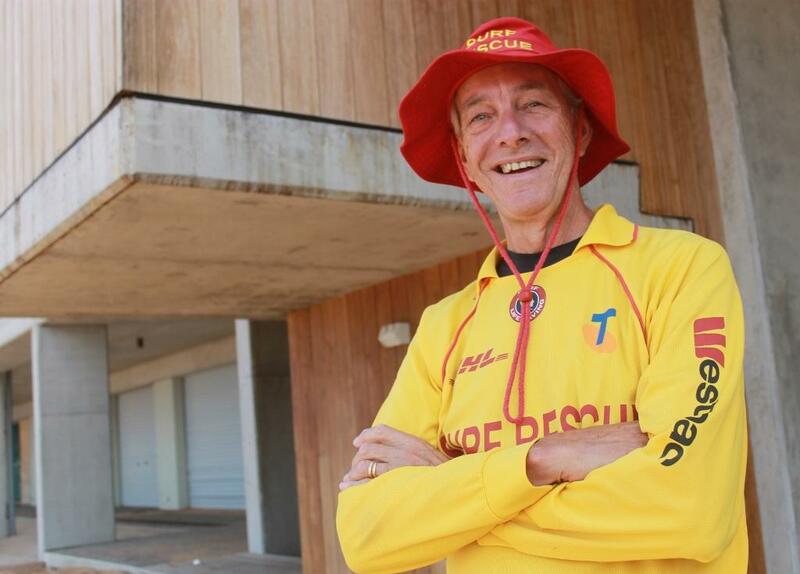 In 2002 Geoff Searl won the Pittwater Medal for ‘service to the community’ – four words which encompass decades of building, contributing to and instilling our community with his quite wonderful essence; service as a JP when at Searl’s Health Foods – Avalon, contributions to Avalon Beach SLSC on Patrols as well as writing the 75 Year History of the Surf Club, the formation of the Avalon Beach Historical Society and all the work keeping precious records entails, a passion for the environment, a member of the Avalon Preservation Trust, for creating and for sharing all that knowledge in each of these fields. This year Geoff has been announced as the recipient of an OAM Award in the 2019 Australia Day Awards Lists. "For service to the community of Avalon Beach." When we spoke to him about this latest recognition, Geoff characteristically ascribed the award to the inspiration being part of a community that actually cares about community and its environment grows in you. "I'm just giving back to Avalon Beach what this place has given to me for 71 years. I have had such a wonderful life here with my parents, with Collette with our children and grandchildren. I have met so many wonderful people who also inspire you to give back, to get involved, to do what you can for our place and our community." "Thanks loads to Wazza (Warren Young OAM)for his input into this amazing award. Thanks to all the wonderful fellow volunteers who I have had the pleasure to work with. Especially the guys and girls on parol, members of the ABHS, fellow volunteers who work alongside each other in Angophora Reserve and 'Royal Av. Golf Course and members of the Exec. committee of the Avalon Preservation Trust. A special thanks to my remarkable family and my incredible wife of 47 years Collette. " Maxwell James Nugent, 41 Colane-street, Concord West; Edward Wilson Railton, 5 Garden-street, Dundas; Ronald Arthur Searl, 42 Avalon-parade, Avalon Beach; Charles Herbert Milnes, Chisholm-avenue, Avalon Beach; Mary Brigid Milnes, Chisholm-avenue, Avalon Beach. For service to the community of Avalon Beach. • Honorary Historian, since 1998. • Member, Judiciary Committee, 1968-1970. • Member, since 1998 and 1966-1970. • Member, Avalon Beach Village Chamber of Commerce, 1985-2006. • Convenor, Angophora Reserve Bushcare Group, current. • Past Executive Committee Member, Avalon Preservation Trust. • Recipient, NSW Premier's Volunteer Recognition Program Award, 2017. • Recipient, Long Service Award, Avalon Beach Surf Club, 2015. • Recipient, Pittwater Medal, Pittwater Council, 2002. Since retirement Geoff has followed a belief that 'life is for living' - sailing, being the Convener for the Angophora Reserve and the Royal Avalon Golf Course bushcare restoration works, tennis, golf, fulfilling patrol hours as a member of the Avalon Beach SLSC during the Season, creating beautiful sculptures from native plant elements for his Bunyip Botanicals and travelling with the love of his Collette fill each week to the brim. 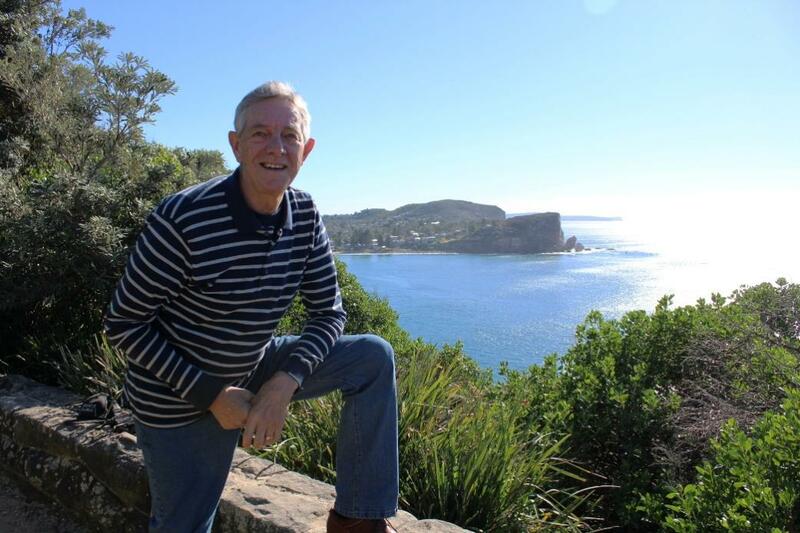 In 2014 Pittwater Online ran a Profile on Geoff to celebrate one of those who has given much to this place for decades. Geoff still has a passion for sharing history, a love of restoring our bush and undertaking looking after the here and now and the future as a Committee Member of the Avalon Preservation Trust (Avalon Preservation Association). I was born at the Mater Hospital at Crows Nest on the 18th of August 1946. Mum and dad at that time were living with dad’s mum at Northbridge. In Avalon Beach – I’ve been here for 67 years. My parents came down here honeymooning in 1944, staying on Sand Point at Palm Beach. Mum’s dad had bought two blocks from A J Small at 64 and 66 Avalon Parade. I think that may be why they came down - to have a look – and so they bought the second block from mum’s parents. This has just been demolished and there’s 12 units there now. So they had to borrow the money from my grandparents to build the house. We moved in in 1947, I was six months old. What was it like growing up in Avalon? It was awesome, fantastic. We had cubbies built where Pittwater Palms are now – we’d make arrows up and light them and fire them at the gang from Central road. I got my first Mal in 1958 but dad didn’t like the look of the Surfies and what they were up to so the Mal only lasted 18 months before dad took me off to Palm Beach Sailing Club. They were operating from Careel Bay then, and so I sailed for three or four years. I started off in VJ’s and we then bought a Gwen12 which was A real flyer – I was skipper with my sister Chris as the for’ard hand – we had a ball on Pittwater. This was when I was 15 plus a bit! Then Dad said, ‘well what about the surf club?’; I said ‘what about the surf club?’ – he said; I got my Bronze Medallion a while ago – I think it’s a great organisation’ – so I joined the Surf Club and got my Bronze in 1966, which was great. I became the Chief Gear Steward and then Chief Instructor for a couple of years, which I enjoyed immensely – it was a much smaller surf club then – all the members knew each other, same as the community generally. We were doing around 10 patrols a Season compared to the 6 or 7 now. Then in 1971 I married Collette. Where did you meet Collette? You have probably heard of ‘The Shack’ – the folk singing and coffee house at Narrabeen? She was on the door collecting money – this cute little yellow mini-skirt – I thought ‘she’s pretty hot’ thinking ‘this looks like the real thing’ – I was singing traditional Australian bush songs. Avalon Public School. The school started in August 1950 with 66 pupils. The following year the school was officially opened and that’s when I joined! I then went on to Narrabeen Boys High School which was where the Narrabeen Sports High is now. There’s no trace of this school now – you can Goggle it but there’s nothing about Narrabeen Boy’s High. I did six years there because I was a lazy bugger. We were told by the careers adviser ‘you need to do your languages to get anywhere’ – so I did English, German, French and Latin - I excelled in Latin, getting 4% - so I thought ‘time to get out of here’. I went straight to the National Art School at East Sydney Tech College 1964 was my last go at the Leaving Certificate. I passed and went straight from there to the National Arts School in 1965. I had done all these languages and should have been doing descriptive geometry, woodwork, metalwork, all those kinds of subjects that I would later use. I spent three and a half years there but didn’t graduate as they changed the program – rather than pure design we got into Production Engineering – plus and minus so many thousandths of an inch, which didn’t interest me at all so I left there and got a job as an Industrial Designer with Cyclops and Lines Brothers as a Toy Designer. I had a ball there for 18 months – several of the things I submitted to the CEO at that time were pushed aside but appeared via other manufacturers later on. I then got into model making and this was a big part of making a presentation to a client when you were A designer whatever it was – and so rather THAN drawing a pretty perspective you made a full-size working prototype or something similar so they could have a good look at it. I got into Architectural Model-making and enjoyed that. I went out by myself and one day, after I’d worked 37 hours straight, and was delivering a model to Macquarie street and fell asleep at the lights, woke up with horns beeping me, I thought ‘do I really need to do this? This is getting silly?’ and decided to get out of this and go back to designing – which I did at Formrite Plastics at Brookvale. This was designing display stands for cosmetics and that kind of thing which I enjoyed doing- it was creative and close to home. I worked there for a couple of years as their Designer. In the meantime mum and dad had bought and started the Health Food store. I was reading pamphlets that they had got – I went and did a six week course with the Natural Health Society in the city and became even more interested. I started into yoga and did this for several years at the Ashram at Prince Alfred Parade at Newport. This was before the one at Manly got underway. Mangrove Mountain Ashram was just being established. I then taught yoga in the community centre at Avalon Beach for a couple of years. When you were teaching yoga at the community centre, was this the big structure that is there now? No, this was the earlier one which was built in 1968, the first community centre. There were three activity rooms on the right – I had the third room – the auditorium was far too big for a little yoga class. Yoga was also about talking about good health and how to attain this – talking about vegetarianism also. I became more and more interested in all of this. Someone then mentioned Dorothy Hall’s College of Herbal Medicine – I had a chat with Collette and she said ‘why not?’ so I started off correspondence-wise but found out I really needed to go in there – I had questions that couldn’t be answered over the phone. I went to Chatswood at first and then Balmain to finish the course, graduating from there with High Distinction. Dorothy then asked me to join them as their Nutritional Lecturer. By that stage I’d started in the shop – mum and dad had said they thought I could be of help to them. I could cycle to work from Whale Beach, it just really suited. So I joined Dorothy Hall as a lecturer and then became an associate, which was a really a buzz – I had a clinic room and was there for a couple of years. Mum and dad then said ‘what about joining us full-time?’ I was then able to have two days at home – by this time we had bought our house at North Av. – I had a little green caravan on the front of the block and that was where I consulted with people and so we had a practice here for some five years – which was great. That was also beneficial for the shop as well as you’d send clients there as a customer to get some of the things you’d think they required. Then mum and dad retired in 1985 and offered the business to Collette and I. By that stage the 3 kids were starting to grow up. We had a chat with Bill MacDonald, who’d been a really successful businessman in Avalon Beach since 1927. He was a real community person, sponsored the surf club, helped one person after another, went bankrupt a few times and came back through sheer hard work. He gave us what turned out to be great advice. We then bought the shop from mum and dad in 1985. Dad then died in 1988 – which really shook us all as it was totally unexpected. People said ‘not Ron Searl, surely not’. He told mum he had a bit of a headache, took a tablet, and was in his favourite chair and was gone – it was as though he’d just thrown the switch. Magnificent for him – we had people for months after saying can I join the list, that’s the way I want to go.’ But it still destroyed us, yet somehow made it easier knowing he’d gone so peacefully. Just on your dad – there’s a lot of photographs around which have been taken by your dad – how did he get into photography? It wasn’t a cheap hobby then…. No, it certainly wasn’t in the 1950’s, or earlier for that matter. He just thought what a good thing to do – he had a good mate in AGFA who threw him a few films here and there – he loved photography and took some great shots – and he only had one eye! When he was 16 he blew one of his eyes out mucking about with gunpowder up at Grafton. We even have the newspaper report – ‘young 16 year old blows eye out…’ that sort of thing. And yet he saw so much with this one eye; it was like God said ‘here, you’ve only got one eye, have a bit of extra energy in the one you do have’ – we’d be driving along and dad would say ‘how was that?’ – ‘how was what?’ – he saw an awful lot, it was amazing really – things others didn’t see. He took a photograph of the Warriewood surf boat at a Bilgola Surf carnival and submitted that to an international contest which he won. An all expenses paid trip to the Munich Olympic Games – he and mum had a fantastic time, other than what else occurred at that particular games. Ron Searl, who photographed and collated many of our Pittwater events won a prize for this image of the Warriewood surf boat in 1980. Below is Ron Searl with his photograph. Image courtesy Pittwater Local Studies Unit at Mona Vale Library. Then when the videos came along, he liked toys, he got this ruddy great video camera- they were big in those first days, and took some great footage of the family. From 1988 I started getting what I would term ‘messages’ and got a little notebook and started writing them down. A couple of years later I had a poem, which was about dad, and quite amazing as I hated poetry at school. Strangely I have just written my 37th poem, another gift he gave me - as most of them were originally about him. That helped me with the grieving process immensely and perhaps helped compensate for the sudden loss. In 2000 John Stone came along and said ‘we’re getting out before they bring in the GST – we’ve had offers for the shop but if you want it, you can have it.’ I said ‘let us have a think about it – yes, Yes and yes!’ and then that one became the new shop. Geoff and Collette in December 2000 in the new shop at 68 Old Barrenjoey Road (it was John Stone’s Music and Photographic Store from 1967 to the Searls). You started writing poetry too? Yes, and it just kept coming, it never stopped. I branched out then and talked about the love for Collette and all sorts of things – poems about the environment; the bush and flannel flowers (Dad’s favourites), that sort of thing. You have since had three poems published in Heartsong - an Anthology of Pittwater Poetry . While on the environment – people may not be aware that you have been for a while, and are still one of Pittwater’s bushcare volunteers. You are part of the Angophora Reserve group. Were you part of the first phase of this? Initially I thought ‘there’s nothing going on here’ – there used to be a group which ran out of funding and also it ceased when Pittwater seceded. When Pittwater Council became our council this brought in an environmentally conscious council with many bushcare groups popping up which they supported. About five years ago I thought ‘we should have an Angophora Bushcare group’ – Council said, great idea – Ben Coddington was the first bushcarer they sent (to guide us) and we rallied the troops and were getting six and seven people along – last Sunday we had 8 up in Angophora so it’s going really well. Andrew Jennings, who is our bushcarer officer now and he’s a ripper! It’s a beautiful place to be – you have so many wildflowers, your Golden Whistlers (birds) – it’s a stunning place to be. When you’re amongst those trees you cannot see any houses, it’s just you and your mates in the bush; it’s beautiful. Your poems have become more about the environment, and your commitment there is also backed up by your work as a volunteer bushcare – what shifts in the Pittwater environment have you seen? It’s now a continual battle to keep what we’ve got and to prevent what we’ve lost already becoming a bigger loss. It’s really tough that we have to fight so bloody hard to keep it. You would be distressed that the koalas have disappeared then? Of course; at our last Historical Exhibition we had 21 photographs of koalas in the area – one of the photographs was my two sisters and I in the backyard at Avalon parade having a pat and a cuddle of one one morning in our dressing gowns; we became almost blasé – ‘oh, here’s another koala’ – we took it for granted. The roads, swimming pools, all this contributed. We used to rent a place at Wandeen road and saw two Alsatians tear a koala apart – you couldn’t go near them, they were frenzied, it was horrible, all that sort of thing contributed unfortunately. I was witness to the re-entry of an eight year old female koala in the reserve about 1990; she’d been spotted being bombed by a couple of magpies in a grevillea at Wandeen Road. Taronga Zoo came out and took her back, nursed her back to good health and re-released her – but there’s no koala droppings or marks now – there’s nothing at all. They’re well and truly gone, all of them. Yes, Careel Bay on a Wednesday morning – love it, great bunch of guys, all as silly as me and thoroughly enjoying our tennis without any sheep stations at stake! You have Bunyip Botanicals – this all points to a very active semi-not retired life Geoff – where do you get the energy from? I eat what I feel is right for me, take some supplements and a quality protein powder – I haven’t eaten meat for 40 years – nothing that could have looked at me !! And I wouldn’t miss my nine holes at ‘Royal Av.’ on Monday morning too – you’d pay almost double to have the privilege of walking around there, it’s great. You could get upset with some of the shots you play there – doesn’t matter, you get to greet the 27 ducks, ducklings and adolescents on the third tee and just think ‘this is heaven on earth’ – it really is. The energy comes from just enjoying what I do. Yes, I retired from the shop, but I didn’t retire from life; I have a whole new life which is just fantastic. The 3 kids are close by with the 4 grandkids and we’re both in good health – we’re not wealthy but we reckon we’re incredibly rich! When we lost dear old mum 5 years ago she left some money in the kitty for the two girls and myself and they had a little boat and they used to love going out on Pittwater – so we thought we’d do the same. You know the lore for changing the name of a boat ? You have to get a virgin to…. Eventually I found one of the earlier owners who bought it in 1990 and they’d been to Romania and loved the province, came back and got this boat and named her ‘Jassy’ – so that’s where the name came from. We take her out on Pittwater during the week – she has cost us heaps but it’s worth it. Someone said to us, ‘you know what boat stands for don’t you?’ – ‘Break Out Another Thousand’! You have done a bit of travelling too? We did some short stints while we had the shop. We had some wonderful people working for us and they really looked after the shop when we went away. Where was the first place you wanted to go to and why? England in 1995. Qantas were celebrating 50 years or something and our son rang up and got two fares for the price of one. We had a ball and that whetted our appetite so we went again a couple of years ago. We also went to France, hired a self-drive canal boat there and did 130 k’s down the Loire Canal. We were very fortunate also to have spent a fabulous three weeks touring Egypt, especially camping in the middle of the White Desert, all before the crazy recent turmoil! And there’s still so much to see here. In fact we also do heaps of short jaunts all around the country – so much so that a neighbour commented that it’s his idea of the perfect retirement! Avalon Beach Historical Society, how did that start? It started because of this interest that was growing on this amazing place that we’re living in. people would wonder ‘who is responsible for this?’ and ‘who built that?’ and ‘what’s that doing there?’ and so I thought, there’s nothing being collected; we came under the auspices of the Manly Warringah Pittwater Historical Society but they weren’t focusing down here at all. This was a massive area for them to cope with so a mate of mine at that time and I thought we’d begin. Manly Warringah Group frowned upon it and said “no, you can’t be Avalon Beach Historical Society – you’ll have to become the Avalon chapter of Manly Warringah”. 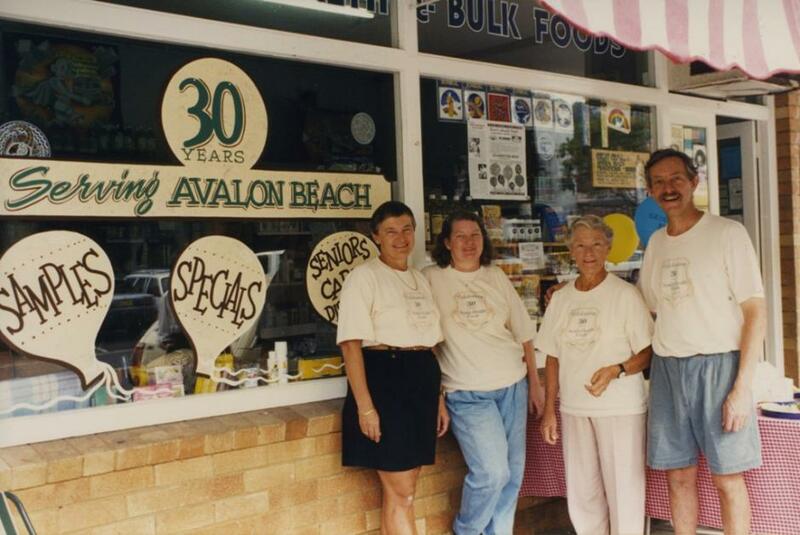 We said, no, we’re game enough and bold enough – and so in September 1983 we formed the Avalon Beach Historical Society. What kind of materials were you collecting to begin with? Lots of it was old history on cassettes – at the moment we’re just beginning to transfer the audio cassettes onto DVD because I don’t know how long they’re going to last. This is pretty precious stuff – there’s about 15 people among these I’ve interviewed that have since passed on. There were photos also – we’ve amassed this quite remarkable local history photographic collection. You make these accessible to the students at the local high school? We’re surprised more don’t come along. I did give a couple of talks to local students at Barrenjoey High about 15 to 20 years ago. I remember building a cardboard gunyah with kids here at Avalon Public school and talking about the aborigines of Avalon Beach . I also did one Talk on transport to Avalon Beach in the early days a while back. We’re so busy correlating what we have gathered so far – putting on the Exhibitions – it takes a fair amount of time to do all these. The last exhibition was a huge success – and not only that, out of it came people with - ‘would you like to borrow the album of us camping in the camping area at the beach during the 1930’s? – so it further snowballs as a consequence of letting people know what we’ve got, which we’re happy to share with them. We keep saying, what’s the point of collecting them and popping them into filing cabinets where no one can see them? Collette has a magnificent collection of WWI silk postcards; hand embroidered by French women and sold to our troops; they’re beautiful. Where do you collect those from? Antique and collectable stores – ebay also. We used to go the War Memorial and see them in amongst the diorama – but they’re in filing cabinets now and if you don’t know they’re there then you miss out on these remarkable stories from The Front – a son writing back to a lover, a sister, mum dad or whomever. Remarkable stories and beautiful work. Are you going to run an exhibition this year? No, the poor old house becomes the Historical Society for months beforehand – we’re lucky, thanks to John Stone, that we have the office in Bowling Green Lane now – and the need for the exhibitions isn’t as much as it once was as we have a board down there and rotate the topics each month. For example, one month it will be the Dairy, next month it will be the public school, the torpedo base or whatever – so there’s a constant exposure there. The shop is open Thursday, Friday and Saturday but I have so many other interests that I’m there Saturday morning 10 until 1pm. So if people have historical society questions John lets them know I’ll be there Saturday morning. John is a bit of an expert in the photography department – he helps you restore the images? Yes, he is. People bring in photographs with tears or photographs that have faded or the magenta has reigned supreme and he scans the image and increases the contrast or stitches the tear etc and it’s quite remarkable what he can do, he’s far too modest. John Stone has been made the inaugural Life Member of the Avalon Beach Historical Society because of all the fabulous work he has done photographically for the society. Five years later, the sneak executive, made me the second Life Member, which was a real thrill. In 1998 Warren Young asked me if I would write the 75 Year History of the Surf Club for publication. As I began the job I regretted more and more that I was no longer patrolling so I rejoined the club and 16 years later I’m still an active member of the ‘Old Farts’ Patrol. What is your favourite place or places in Pittwater and why? I love Angophora Reserve, and I love the aboriginal rock shelter in Angophora Reserve. I’ve taken five tours into there over the last 15 years – it’s a lot like a cathedral and people realise they’re among something different. Yes, there’s the coke cans, the milk carton etc. and graffiti carved into the little spotted gum nearby but it’s still magnificent, especially if you know what went on there. In 1988 when they did an excavation because they thought there might have been a murder there, and Dr. Annie Ross, who was head of the National Parks and Wildlife Service at the time, said “this is the most significant archaeological site on the western Seaboard of the Tasman Sea”. The information that they gleaned out of that site is just remarkable. We love The Basin – we go over there when we can, often. Just to the right if what we call ‘Jabiru Beach’ – it’s only a little beach with no real name but mum and dad used to go there heaps and took us there, so we scattered both their ashes there – so that’s special to us too of course. Barrenjoey Headland – I use that mainly as a training ground. I was doing walks in Western Australia and…. Hold on a moment – what walks in Western Australia? One day we had eight kilometres of dry sand heading into a 25 kilometre an hour southerly; you were looking for four wheel drive tracks to walk in, looking for seaweed to walk on; it was tough but you get into a headspace – I was listening to James Taylor in my head, thinking about the people I’d left behind here; you start singing along. That was really successful for my cousin and I. He then said, I’m going to have another go at the Bibbulmun Track – this was the name of the aboriginal group that looked after that southwest part of WA. It’s one of the top ten long treks in the world – it goes from Freemantle down to Albany, which is 975 k’s. (laughs) so David said, he’d done it before, with food drops and all that sort of thing; so we did the last 210 kilometres and it was just spectacular. We did it in October – you can imagine the floral display in southwest Western Australia in this poor soil and sand – it was just stunning. There’s one particular spot they call ‘the showgrounds’ that was just mind blowing – little donkey orchids at 50mm high to 75 metre eucalyptus jacksonii that you could park a Holden car under – a fire had taken the middle section out but it was growing from the outside bark. We greeted the seven or so tiger snakes with great respect, they were usually only small, but when we had a metre and a half one, (across the path) we said ‘just take your time’. Probably – ‘enjoy what you do’ – put your heart and soul into what you do whether it’s a relationship or the work that you do. That’s what I noticed working in the shop – everytime a customer came in – they became friends a lot of our customers. When we sold the shop we didn’t miss the business although it was beneficial – gave us the money for our retirement, but we missed lots of the customers. Unbeknownst to us our three kids had organised a celebration at the Avalon Bowlo – ‘come over for a beer dad – we’ll celebrate the selling – we got over there and 70 people were inside – the little rascals. So yeah, do something worthwhile and enjoy it while you’re doing it - swap lanes if you want to. 1996 photograph shows Geoff’s sister Chris, Collette, Mum and Geoff outside old shop at 74 Old Barrenjoey Road. Three generations of Searls’ have gone through Avalon public school – Geoff, his and Collette’s three children, and now two of their four grandchildren. Son Chris is into photography too – chosen by Canon 3 years ago as their portrait judge (grandfather’s genes) – and 1st photographer officially allowed atop the Opera House to shoot Natalie Imbruglia. “I love making these, really enjoy the work that goes into each one.” Geoff said during the week. After completing the Leaving Certificate at Narrabeen Boys High, Geoff attended the National Art School at East Sydney Technical College, Darlinghurst in the late 1960s. His initial studies were in General Design, later specialising in Industrial or Product Design. The latter required detailed prototype models and this `hands on' facet of the design process was to become Geoff's forte. After several years employed as the toy designer for Cyclops and Lines Bros. he switched to constructing presentation architectural models. An Archibald entry and several private commissions saw Geoff's artistic endeavours put on hold for a naturopathic and health food career. Eventually, retirement from the health food store allowed his creative energy the freedom to surface. Geoff’s many years as an executive committee member of the Avalon Preservation Trust encouraged an already intense interest in the local flora (Geoff is also Convenor for the Angophora Reserve Volunteer Bushcare Group). In 2002 Geoff was awarded a Pittwater Medal for Volunteer Services, recognition of years put in as a Member of the Fire Brigade, serving at Avalon Beach SLSC (having earned his Bronze Medallion in 1966) as well as being a member of the Avalon Chamber of Commerce, the Avalon Preservation Trust and his work as part of the Angophora Reserve Volunteer Bushcare Group. Well known for his articulate pen, Geoff had three of his poems published in 'Heart Song', an anthology of Pittwater poems, in 2012. Geoff is also a keen bushwalker, having walked over 500 kilometres since retiring, mostly in Western Australia. Other interests and past experiences (66 years in Avalon Beach) became the impetus behind this new direction of botanical sculptures and jewellery. Geoff uses only the spent fruits and pods, mostly of the local native trees, (plus a few from interstate). 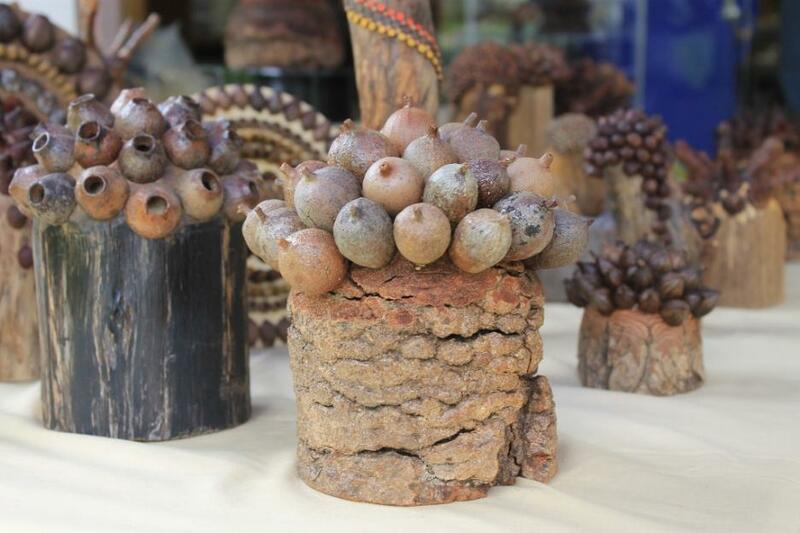 These are ‘grafted' onto bases - segments of trunks like banksia, which possess in themselves, sculptural qualities. The results are surreal `new botanical species', which look like they could have been gathered by bush regenerators working in the vicinity of a billabong inhabited by bunyips. Above and in text: some of Geoff's beautiful Bunyip Botanicals creations. Arrival of the Mal - 1956 Surf Boards: the Avalon Beach Historical Society held a special meeting with Talks given by David Lyall and Bob Head providing some great insights into the ‘Arrival of the Mal’ or Malibu surfboards in Pittwater. Retracing Governor Phillip's Footsteps Around Pittwater: The Mystery Of The Cove On The East Side by Roger Sayers and Geoff Searl - Do Not Miss this Readers! A Late Spring Stroll Through Kosciuszko National Park: The Main Range Walk by Geoff Searl - ever the mindful and passionate Historian, captured some images of what was seen along the way that has a local connection in one particular instance. Retracing Governor Phillip's Footsteps Around Pittwater: 2018 Edit -The Mystery Of The Cove On The East Side by Geoff Searl and Roger Sayers - This coming week marks the 230th anniversary of Governor Phillip sailing past Avalon and Palm Beach on 2 March 1788 and entering Pittwater for the first time on 5 March 1788. This Issue a revised version of the earlier story in Pittwater Online News ...includes a map showing Geoff Searl and Roger Sayers assessment of his most likely routes in out and around Pittwater on 5, 6, 7, 8 and 9 March 1788. When you're out and about on Pittwater this week - have a look around and think about what occurred here 230 years ago this week!